There are issues with the build quality of the Seven and the stability of EPOC ER 5 which might affect you. I know this from experience: when I first got my Seven, it was unusable due to the first two problems listed below. But with a little help from the support people at Expansys they were quickly resolved. Below is an FAQ based on my own and many other Seven user's experiences. The list of problems looks depressingly long. But here's a thought to cheer you up: just imagine the list I would have to compile if the Seven ran Windows! I can't find the solution to my problem here! If the touch screen stops working or the system crashes, check out the build version of the operating system. 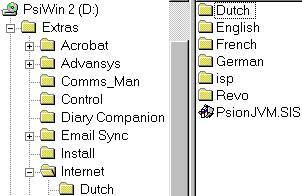 From the main system screen, press Menu, choose Information and then About Psion 7. You will see a screen bearing the Psion 7 logo and four lines of text. At the end of the third line you'll find the word "Build" followed by a number. If the number is 754, you can download the patches here: UK version and US version (I've been told that Psion customer service actually tells users to get the Psion patches from this site!). The patch upgrades EPOC to build 756 and it will put an end to the unexplainable crashes. But it will not improve your system markedly in any other way. Consequently, if you don't have the problems mentioned, there is no need for you to download the patch. It is simply a fix for a particular bug, not a system upgrade a la Windows or Linux. There's another reason for staying away from the patch: if something goes wrong during the installation you will not get a second chance. For instance, if you have a power loss while the patch is being installed you could end up with a brain-dead Seven. If there ever was a reason for reading the README file carefully this is it! This bug is usually noticed when you try to press a button in a dialog box and you discover that you have to move the pen to the left or right of the button to get a reaction. Start the Sketch app and try drawing with the pointer. 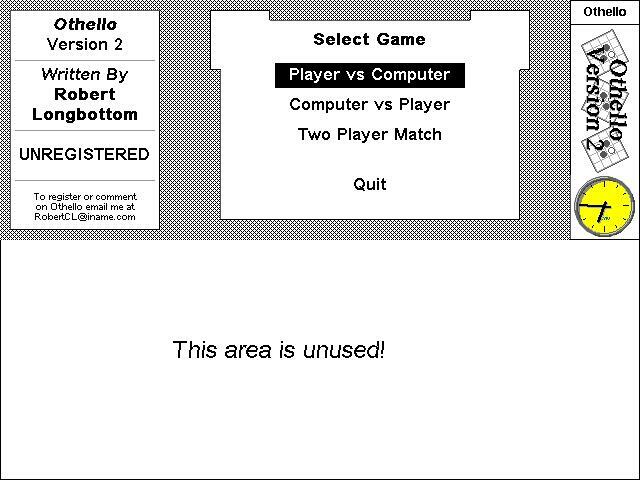 If the line drawn on the screen is offset from the pointer by many pixels, you will know that you have a problem. Though rare, the bug has been reported by enough users to warrant an entry here. Lately, I've been seeing it occasionally on my own Series 7 as well. Nobody seems to know what causes it and why it appears. What we do know is that upgrading to build 756 (see above) doesn't help. A hard or soft reset may fix the problem, but usually only temporarily. But according to one user, KM from Russia (Russian speakers see mypsion.ru), there is a very simple procedure you can try when the screen acts up. His advice was based on experience with the netBook, but I've tried it successfully on my Seven. When the synchronization bug appears, press firmly with a finger on the "Series 7" logo directly above the "6" and "7" keys on the keyboard. Repeat the procedure 2-4 times. It it works on your machine, the screen will go back to normal operation immediately. KM suggests that the screen synch bug is related to a faulty screen cable connector beneath the logo, and the fact that his procedure works seems to bear him out. If this doesn't work, you can try recalibrating the screen (go to Control Panel, choose Screen and then Calibrate). But for some users the offset appears again after a short time, and they have to recalibrate daily. It's possible to use Macro5 (see the software page) to speed up this process, but in my opinion a recurring bug in the pointing system is so crippling for the Seven that you should return it under warranty if possible. There is a bug in EPOC which can make the system reset itself while the IR port is running if you have set your automatic switch off time (from Control panel) to more than 31 minutes. As far as I know there is no workaround other than to shorten the switch off time. The Seven has ample battery power for a normal working day, provided you don't run it at maximum screen brightness all the time. Keep a close eye on the battery icon you see below the button bar on the right though, as the consequences of ignoring it can be dire. When the icon turns red and you get the message "Recharge battery" switch your Seven off immediately and head for a power socket. This is especially important if you work directly on files stored on the CF disk. Should the battery power be cut while you are working on a file, it may be corrupted and become unreadable. In fact, you could corrupt the whole disk! This problem is not specific to Psion, by the way. The easy solution is to keep your working files in memory (C) and back up to the CF unit. (This is what I do). The C drive will be powered when the D drive shuts down, giving you a bit more time. You could also go for the IBM Microdrive, which is a hard disk and not prone to file corruption when power runs low. On the other hand, the Microdrive increases power consumption significantly. Don't expect to see anything but the Courier font on paper, regardless of the font you chose in your Word document. If you're an English-speaking user the "Generic printer" option may be enough, but for those of us who require special characters it fails miserably. The situation seems to be even more bleak for small inkjets like the Canon BJ series, often the printers of choice for Psion owners. Check out the printer driver for the Canon BJ inkjets written by Andrew Johnson. It solves many of the problems inherent in the Psion drivers, and makes you wonder why on earth we had to wait for a single clever programmer to dosomething that Psion should have done in the first place? Andrew has also written drivers for HP and Postscript compatible printers. The Java file is on the disk, but for some reason you can't install it from the main program. Here's how you do it: from Windows Explorer, click on the plus sign to the left of the CD-drive to expand the folder tree (do not click on the CD symbol itself as this launches the installation program). Open the Extras folder, then Internet. In this folder you will find a file named PsionJVM.SIS. If the Seven is connected to your PC, just double click on the file and the Psion Java Virtual Machine should install itself. Alternatively you can transfer the file to your Seven and install it from EPOC. I don't know how well the JVM is implemented, as I find the size (2.9 MB) a bit hefty for the limited use I have for Java. Occasionally when installing applications with PsiWin, the process stalls while the message "checking dependencies" is on the screen. This is probably due to a bug in PsiWin 2.3, and there is no software patch that fixes it at the moment. There is a solution however: simply copy the .SIS file to your Seven with PsiWin, and install it from there by clicking on the file icon. The .SIS file can be deleted after the installation is completed. The Seven uses the EPOC Release 5 operating system. Most software written for the Psion 5 and 5mx will run smoothly but is not optimised for the larger colour screen of the Seven. The result is often software running in graytones in a smaller window on the screen. There is no fix for this problem other than sending a mail to the author politely requesting a Seven version. The Email application is surprisingly good, but suffers from a few glaring omissions. One is the ability to add signatures to you Emails. There are several solutions to the problem. You can download Macro5 (see the software page) and create your own signature Macro. You could also make an email template with the signature typed in. There is no template option in Email, but here's the workaround: create a new email, leave the To: and Subject: fields empty and type in a standard message and/or a signature in the message field. Click the Save as draft button. Check the Draft mailbox, an you will a message which only lists the creation date. Whenever you need to write an email with a signature, just go to Draft, click on the file, copy (CTRL-c) and paste (CTRL-v) it, and open the copy. Donat O'Kelly mailed me this solution to the problem of missing IMAP support in Email. I haven't tried this myself, and as usual you're on your own when fiddling about with the EPOC system. Need I remind you back up your Email folders before doing this? Note: this assumes you have installed to CF (D drive) on the 5mx or MC218. You may or may not need to set up an IMAP account in mail and then copy the entire Mail folder. I don't think this is necessary." According to Peter these settings were the only ones that worked. Under all circumstances you should try the modem out with your Seven before you buy it. This is advisable when buying any modem for the Seven. PC Card modems not made by Psion are often incompatible with the Seven. Check out my list of compatible and incompatible PC card modems. If your card is on the "compatible" list you may just need a better init string. If not there is no known workaround, and you are stuck with two options: you can buy a new card card (there should be a discount coupon included with your Seven) or you can opt for the Psion PC Card adapter. This external unit is cheaper than a brand new card, but sort of defeats the point of having the PC card in the first place. If you experience problems connecting to the Internet or dropped lines during surfing, your Psion Dacom modem may benefit from a firmware upgrade. At the Psion Connect upgrade site you will find the relevant information and links. The PC card modem logs on ear-splittingly loud, and as far as I know you can not lower the sound as the Volume option in the modem dialog does not work for this modem. But you can turn the sound off completely. This is how you do it: from Control Panel choose Modems, then choose Psion Dacom and Edit. In this dialog you will find Options, under which you find the option Loudspeaker in use. Choose Never, and you should never hear a sound from your modem again. Alternatively you could try adding M0 to the initialisation string. The loss of sound really is no big deal, as you can follow the logon process on the screen. For those of us who usually log on via ISDN the silence is a blessed relief! The Nokia series of mobile data phones are regarded as almost perfect companions to the Series 5/mx, Seven and netBook. My personal experience is very good: my Nokia 7110 connected with my Psions right out of the box. Below are the settings I use in my Seven, which work perfectly. The settings below can be found in Control Panel/Modems. IR link not switched on or pointing in the wrong direction: As the Nokia's IR modem port draws quite a lot of power, you will need to switch it on before connecting. Think of it as an infrared flashlight. This will also remind you to always make sure that the Nokia's IR port points directly towards the Psion's IR port. The closer the better. Bad network coverage: Dropped lines caused by low signal strength can be a big problem. Take a look at the signal strength bar on your mobile before you try to log on, and expect a slow and unreliable connection if it is low. No mobile data subscription: In many countries you have to subscribe to a mobile data service before you can log on. If you haven't, check with your mobile operator to find out whether you need this in addition to your ordinary mobile service. Hardware or software problem with your Nokia: Today's mobiles are complex beasts, and some models have suffered from software crashes. On my 7110 WAP is very unstable, and it is rather unsettling to experience a software freeze on your phone, a la Windows! I don't use WAP so I don't mind, but you should check with the store where you bought it if your problem persists. If you get the message "Replace backup battery" when you know the battery is in place and charged, you may have a bad connection in the battery compartment. Make sure that the battery really isn't recognized by the Psion by checking the Information/Battery option in the menu bar when in the System screen. Then try bending the flat copper connector in the middle of the compartment slightly upwards. Use very little force when you do this, or you might break the thin copper strip. The sound system on the Series 7 (and netBook, incidentally) is probably the computer's weakest feature. Many users report problems with recording sound at all, a fault which is covered by warranty as the Seven is marketed as a digital sound recording device. Before you return it however, you could try pressing down firmly on the plastic above the microphone (the small hole below the "Enter" key). Sometimes the Seven will record after this simple procedure, which suggests that the fault is due to something as simple as a bad connection. Smaller cluster sizes make for more efficient use of expensive CF disks, but will also make them near impossible to record to. At the moment there is no sign that Psion has a solution underway (in fact their support team told Mike Kaufman that "the problem is unresolvable hardware-wise at this stage"), and all you as a user can do is to format the disk with an application such as Atelier's Essential Disk Utilities (or with Windows and an USB adapter) and choose the more inefficient cluster size. The Seven is so portable that you can easily take it outdoors. Typing in the park or on the beach sounds nice, the problem is you won't see much on the screen! This is not an issue specific to Psion. All LCD screens have bad contrast in bright conditions, in fact all screens (TV, PC CRT) suffer from the same problem. This doesn't mean that the Seven is unusable in daylight, merely that you need to take it into the shade and fiddle with the brightness (Fn + Space bar) and contrast (Fn + , or . ) settings. And remember that you're lucky to have a touch screen. An ordinary mouse pointer is almost impossible to see under these circumstances, whereas you always see the tip of your pointer. For all its advantages there is a downside to the Seven's touch screen: it's easy to scratch the plastic. No matter how careful you are about keeping the pointer clean and wiping the screen gently with a soft cloth: sooner or later a small piece of grit is going to end up in the precise spot where you touch the screen. "...To protect the screen I cut a rectangle of laser film (the kind you use for presentations) the same width as the screen and about 1/8" [3 mm] or so higher than the screen. The sheet drops on the screen and is held in place by the screen surround at top and bottom - works a treat for me. No glue, no water needed to hold a vinyl sheet. Even better, when it gets all scratched up, I've got a box of free replacements in my stationary cupboard! All works great, I was a bit concerned that the screen sensitivity might be affected with an extra layer on it - not at all, Calligrapher works as well after as before. ...And as an added bonus, if you put it on rough side out, you get an anti-glare screen!" According to Amr Daoud Atelier Software's EDU returns the error message "Disk In Use" when checking the internal C: drive on a Seven on which no applications are running. In their reply to him, Atelier admits that "this is a known incompatibility between EDU and Series 7", but regrettably say nothing about fixing the bug. EDU will still work on a CF (D: drive) in a Seven, by the way. The short answer is: from anyone but me! Everything I know about the Seven is on this site, and I will probably be unable to help you with other problems. I appreciate all feedback of course, just don't expect to much in the way of useful hints. In my experience someone in the comp.sys.psion.misc newsgroup will usually be able to answer even the most intricate question. There are several other useful Psion newsgroups. Check them out by searching for "Psion" on groups.google.com, use the newsgroup feature in MS Outlook or a dedicated newsreader such as Free Agent. The ultimate solution - a hard reset! First a word of warning: do not use this tip unless you have tried every other solution for your software/hardware problem. And remember that you do this at your own responsibilty. Data loss is guaranteed, and you will depend completely on your backup(s). The Series 7 runs the EPOC OS from a flash ROM memory chip. If your system runs into serious problems you can recreate the clean, basic system you got from the factory. All you have to do is remove both batteries, wait for a short while and press the "On" button. Compared with a hard disk-based OS (be it Windows, Linux or Mac OS) recreating a stable version EPOC is a breeze. But wait! Before you do this, be sure to follow the steps below. After all, the data on your Seven could be worth far more than the machine itself. Make a complete backup of all your applications and data. Use PsiWin or back up to your CF disk. Remember: two backups are better than one. Verify that the backup works by copying some files from the backup to your Psion and opening them. Make sure that the the subdirectories C:\System\Data and C:\System\Mail are backed up. Data contains your contact database (Contacts.cdb), the modem and Internet settings among other things. In Mail you'll find your emails as well as all mail account settings. Write down all passwords for registered software, as you will need to reinstall it. If possible, have SIS installation files of all applications ready (download them from the Internet if necessary). Reinstallation is preferable to restoring the software via PsiWin, which can be unstable. SIS files can be installed directly on your Seven. When you are certain that everything of importance has been backed up (verify by checking out the C:\Psion directory on your Windows PC, for instance), remove both the main and backup battery from your Seven (main battery first). Wait a couple of minutes before reinserting the batteries (main battery first). Switch on your Seven. Wait a few seconds while the system boots up again. Reinstall your software. Install only the software you know from experience that you will be using. In this way you will get a leaner, faster and more stable system. Copy files from the backup to C:\System\Data and C:\System\Mail . Open Contacts and Email to verify that the files were transferred correctly. Recreate your file tree. Preferably directory for directory, as this makes it easier to leave out files and directories you know from experience you won't need anyway. This procedure may sound cumbersome, especially to anyone who has ever reinstalled a Windows system. Having experience with several Windows reinstallations I can assure you that there is no comparison. Recreating a lean, small Windows system will take you a full day at least. The procedure above was completed in half an hour the last time I did it. I recreated my system from backups and installation files on my CF disk, which is faster than doing it via a slow serial PsiWin connection. Basing my backup system om CF also allows me to perform this operation while away from my desktop. And knowing Murphy's law, you can be certain that your Seven will crash while you're on vacation in Outer Mongolia!